Constellation is an intuition and feeling centred approach that allows unrecognised dynamics and entanglements in families and relationships to move towards resolution and reconciliation. The method however also points beyond the ordinary challenges of our lives, towards more telling, decisive questions. Are we related to something infinite or not? If we understand and feel that here in this life we already have a link with the infinite, desires and attitudes change. The Practice Group is not therapy and does not have therapeutic resources. It is an informal opportunity to reach deeper layers of awareness, satisfaction and harmony. We get together and work quietly to invite the forces of the cosmos to unfold our stories. "Everything that irritates us about others can lead us to a better understanding of ourselves. One does not become enlightened by imagining figures of light, but by making the darkness conscious." 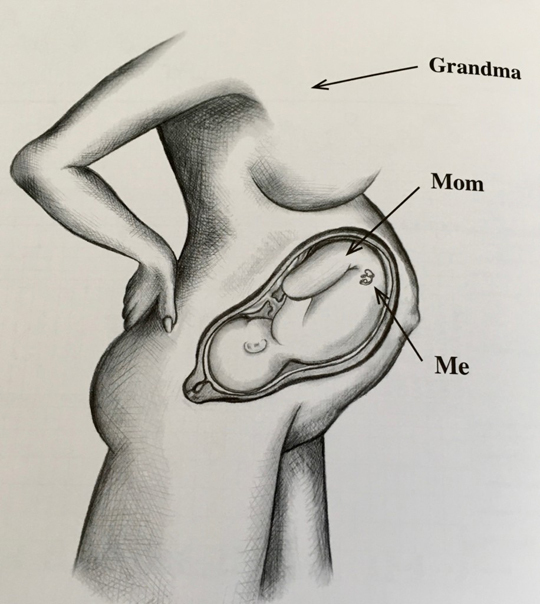 Every female fetus, including your mom, developed all the eggs she will ever have while a fetus still inside of her own mom. And of course, one of those eggs ultimately developed into you. So in reality, you started your life inside of your grandmother. Your grandma, your mom and you have been connected for a very long time.